Players seeded by skill level. Male SL1s allowed. Prizes and Trophies are guaranteed for first and second place winners in each bracket. $60 Entry Fee; which includes greens fees on 7′ tables, commemorative APA gift bag, event shirt and event program. There will be no refunds to entrants who are disqualified for any reason, including no-shows. There is an enforced casual dress code. Dress shoes or nice tennis shoes, dress pants or nice jeans (no holes, rips, or tears), belt, and collared shirt or APA shirt. Any player that the APA considers inappropriately dressed will be asked to change. Players will need to keep score of their own matches. Reserve your room at the Renaissance under the APA room block to receive a great rate! Our rate is $107/night for up to four people per room (queen/queen). The deadline to book rooming is June 4, 2019. The hotel offers complimentary scheduled shuttle service, 24 Hours a Day/7 Days a Week. Shuttle Phone: +1 314 429 1100. There is complimentary onsite hotel parking. View the 2018 Junior Championships Brackets by clicking the image above! The APA World Pool Championships are the World's Largest Pool Tournament. 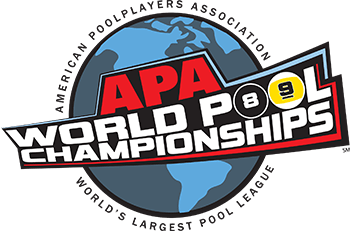 These pool tournaments are the culmination of weekly APA League play and held at the Westgate Las Vegas Resort & Casino. This Event consists of the 8-Ball World Championship, 9-Ball World Championship, Jack & Jill Championship, Ladies 8-Ball Championship, Masters Championship, Team Captains Championship and MiniMania Events. 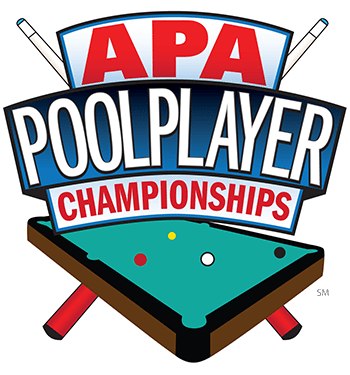 The culmination of individual play is the 8-Ball Classic and 9-Ball Shootout, held in conjunction with the APA Poolplayer Championships in Las Vegas. In addition to the 8-Ball Classic and 9-Ball Shootout, the 8-Ball Doubles, 9-Ball Doubles and Wheelchair Championships, as well as MiniMania events, take place during the Poolplayer Championships. Let the best of the best come and show their skills in the most prestigious amateur championship. Those who enter this event will experience the highest level of amateur billiard play in the United States!